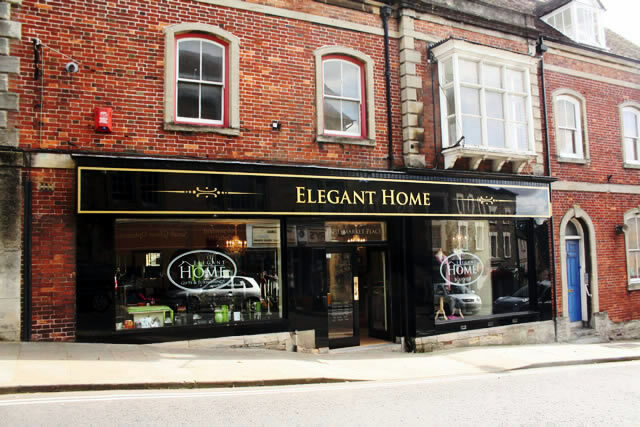 Elegant Home in Market Place has had an amazing twelve months celebrating our first anniversary in September. Here in the High Street, we've gone from strength to strength despite the nation's doom and gloom. It's heart-warming when you have returning customers, often with family and friends in tow. We pride ourselves on friendly, helpful service and go that extra mile for our customers. If there is something you need for your home, we will do our best to source it for you. Our over-size clocks and large mirrors are very popular at the moment. September is exciting as we see all the Autumn fashion collections arrive. With the introduction of Frank Lyman and Adini we will be offering smart, affordable and comfortable daywear in olive green, rich brown and plum. This year's Frank Saul of London brings cosy knitwear starting from just £39, with Steilman adding a touch of luxury with its dark chocolate faux fur jacket. We also are pleased to announce that we have opened a second shop in Langport. The shop trades from two floors with fashion on the ground and home-wear on the first floor. "Wow" has been the reaction from the customers along with, "This is just what Langport needs." which is lovely to hear and a great start. I'm very lucky to have Lesley Packer managing Langport. 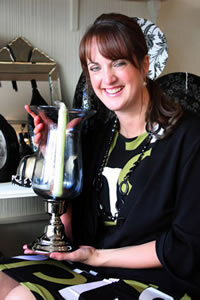 Since opening Lesley has worked hard making friends and loyal customers, many of which return weekly. So what's next for Elegant Home? Well, we hope to introduce a website to allow us to offer and showcase a larger range of furniture, home decoration and gifts. We also plan to launch our own range of scented candles ready for Christmas, which will make excellent presents including rose, bluebell and sweet pea - also cinnamon and spice and other Christmas favourites. Anna, Lesley and the team look forward to seeing you soon.